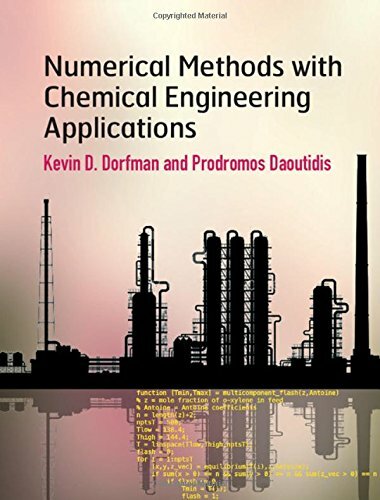 1107135117 -Designed primarily for undergraduates, but also graduates and practitioners, this textbook integrates numerical methods and programming with applications from chemical engineering. Combining mathematical rigor with an informal writing style, it thoroughly introduces the theory underlying numerical methods, its translation into MATLAB programs, and its use for solving realistic problems. Specific topics covered include accuracy, convergence and numerical stability, as well as stiffness and ill-conditioning. MATLAB codes are developed from scratch, and their implementation is explained in detail, all while assuming limited programming knowledge. All scripts employed are downloadable, and built-in MATLAB functions are discussed and contextualised. Numerous examples and homework problems – from simple questions to extended case studies – accompany the text, allowing students to develop a deep appreciation for the range of real chemical engineering problems that can be solved using numerical methods. This is the ideal resource for a single-semester course on numerical methods, as well as other chemical engineering courses taught over multiple semesters.